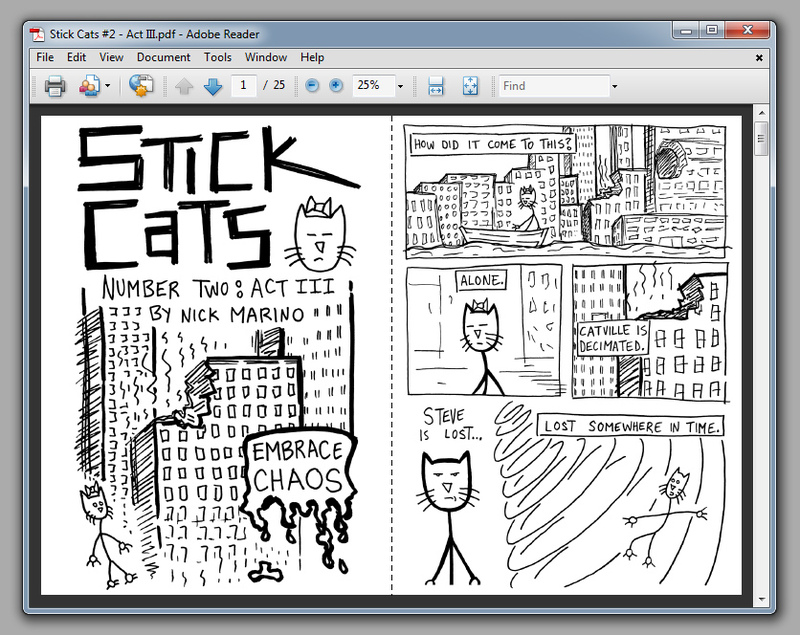 I'm psyched to say that you can purchase the first two adventures of Marmalade and Steve as cat-tastic eBooks from my online store. 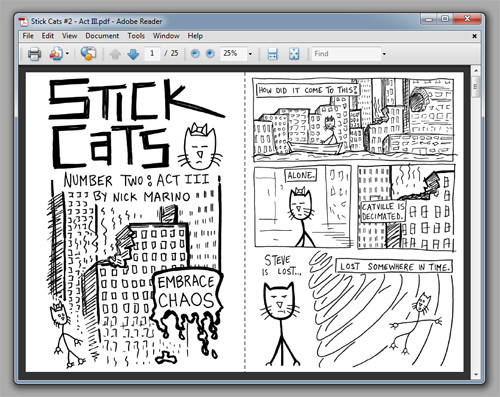 Next week I'll be announcing another Stick Cats product, one that includes these eBooks among many other excellent Stick Cats goodies. See ya then!